Hotkeys Buddy 2. 1 automatically enters text and launches applications when customized hotkeys are hit - by:. Expired Domains Buddy Brings Fresh Expired Domains To Your Dekstop Every Day!This FREE software gives you a new selection of available expired domains every day that are high in Trust Flow and Domain Authority. 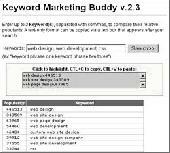 Multiple File Find Replace Buddy 2.1 will scan specified files for specified text and replace is it with new text. Up to 20000 Find and Replace values can be stored. 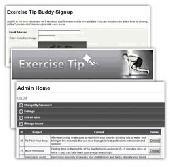 Exercise Tip Buddy is a free, easy-to-install web site tool that allows your visitors to sign up for an exercise tip mailing list. The program comes with everything you need out of the box, including 26 exercise tips tips - that's two a month for a whole year. You can easily add more tips yourself, manage subscribers, and set the look and feel of the e-mail so that it matches your web site. 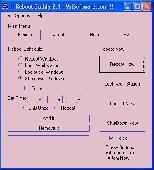 Car Payment Calculator Buddy 2.